Macy’s Black Friday in July! 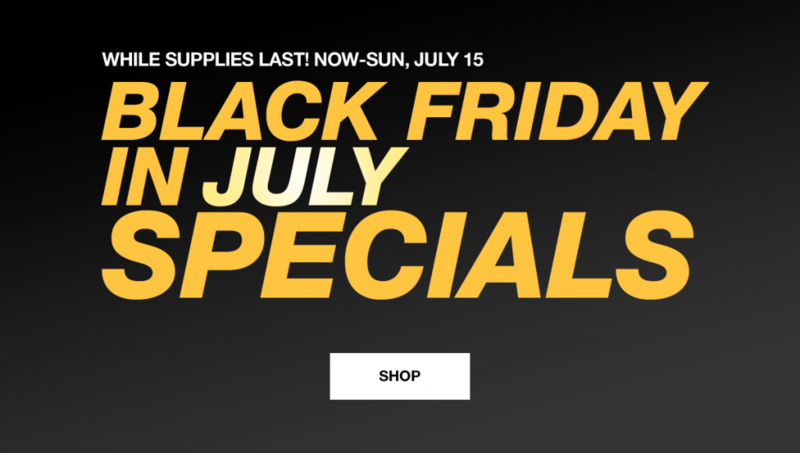 Yes, you read the title correctly: it’s Macy’s Black Friday in July Sale! I wanted to make sure you didn’t miss even one small aspect of this incredible mid-year Macy’s sale. No need to wait until November to score the hottest prices of the year; now you can get them right in the middle of summer. Could this be in response to Amazon’s Prime Day? Possibly. Does it mean amazing savings for you no matter what? Definitely. Take a deep breath and relax; it’s all going to be OK. If it’s all you can do to focus on the summer essentials you’ve yet to pick up, it’s OK. If you’re fixated on back to school gear and clothing, that’s OK too. And if you’re Super Woman and already have your Christmas list plotted out on a spreadsheet, more power to you. You know why? Because it’s ALL on sale during Black Friday in July. Just because Black Friday typically happens before the holidays doesn’t mean you have to limit yourself to holiday shopping. Think weddings, birthdays, home remodels, work outfits, engagement rings…you name it and chances are, it’s on sale. Macy’s Black Friday in July sale starts on Monday, July 9 and runs through July 15. But just like any sale at Macy’s, I’d shop sooner rather than later if I were you. 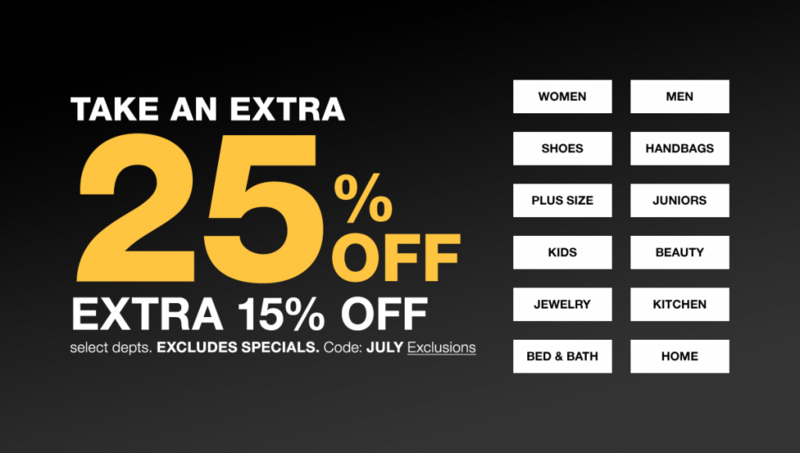 Remember, to take up to an extra 25% off your purchase, just use code JULY.